Other names: Luli, seashore mangosteen. Beruas is a lesser known fruit native to the Peninsular Malaysia. There are over 100 species in the genus Garcinia. 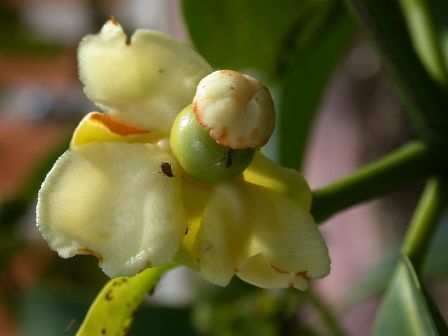 Garcinia hombroniana is considered nearest to mangosteen. 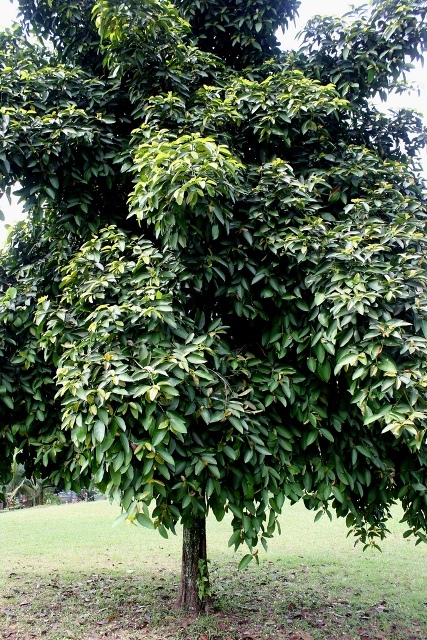 A small dioecious tree, reaching a height of 4.5-6 m; trunk straight, densely branched, young twigs smooth and green, but older bark dark brown and rough; with white latex. Leaves opposite, bright green, 15-25 cm long and 5-13 cm wide. Flowers whitish, occurring terminally in clusters of 1-3. 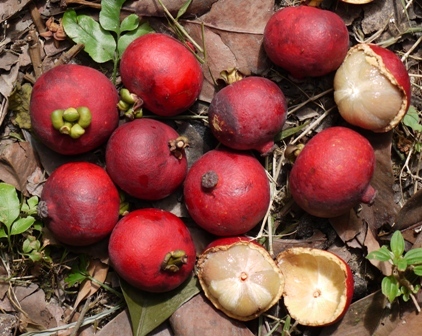 Fruit smooth, spherical and beaked, with a pinkish red peel; interior segmented, like the mangosteen, but the pulp is yellowish, thin and sour, although it has a good flavour. Most segments contain one flat seed. 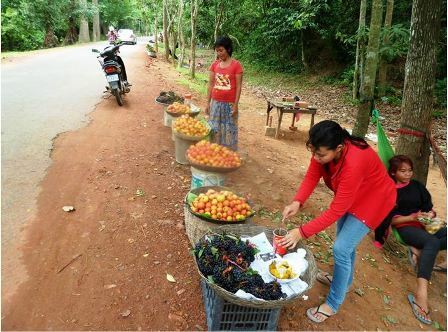 Beruas fruits are eaten fresh. These have an excellent flavour. However, the pulp is thin and also tastes somewhat sour. These are made into juice and jellies. The roots and leaves are used medicinally to relieve itching. These are also used as protective medicine after child birth. Beruas is sometimes also used as a roostock for mangosteen. 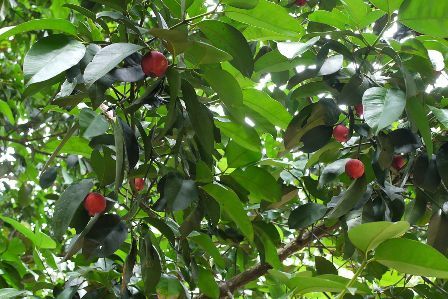 Beruas trees are not cultivated for their fruits but are planted for ornamental purposes. This is a very hardy plant, tolerant to adverse soil and climatic conditions, being adapted to growing in sandy and rocky soils near the beach in its native habitat. It also grows well in acid clay soils, and tolerates drought as well as high rainfall. New plants are mostly raised from seed.